The most used connector/cable/communication standard in the world is definitely due for an update, and finally, here it is! USB 3.1 is the new version of the worldwide standard, that brings with it new features and a much more user friendly design that would really get rid of those (mildly) annoying times when the connector just doesn’t seem to fit in no matter how you plug it in. 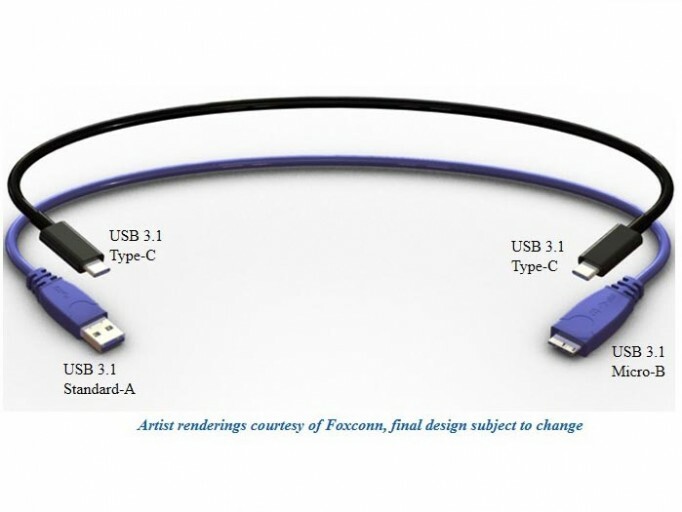 The USB Implementers Forum showed off two types of connectors, of which the Type C connector is the one that most closely resembles the current MicroUSB 3.0 connector, albeit the same on both sides, and Standard A/Micro B is the usual two sided cable. As of now, it’s still in the design stage and may be changed, but you can take a look at some of the artist renders released by Foxconn, added below. USB 3.1 Cables and Connectors – What’s changed? So you’re probably thinking, why a new standard, and what’s new? It’s basically faster, smaller and much more easy to use. Gone are the two types of end connectors in the case of Type C, so you can plug it in without worrying about direction and orientation. Plus, you don’t need to worry about vertical orientation either. This reversible cable connector is slightly larger than the current mobile connectors, but smaller than full size USB slots on desktops and laptops. From a technical standpoint, USB 3.1 allows data transfer speeds of upto 10 Gbps, up from 5 Gbps on USB 3.0. Also, it will allow for faster USB charging, since it can now supply currents between 3 A to 5 A, up from 1.5 A from the previous generation. When can we see these connectors and cables in devices, you ask? The design and specifications are expected to be completed by July 2014, and devices using this new standard should be available by the end of the year. Don’t worry about backwards compatibility either, because these connectors will work with existing hardware via an adapter. Of course, it will be a while before we make a complete switch, so expect to see USB 3.0 and USB 3.1 ports both on laptops and desktops for a couple of years, once it’s out. All is describes perfectly, speed to features but when it launch and what will be the price of it. As mentioned above, the standard will be finalized by July 2014 and devices should come with it by the year end. Since it’s a connector, it will simply be available as a port on devices, hence there’s no price. If you mean adapter pricing, it hasn’t been revealed yet. 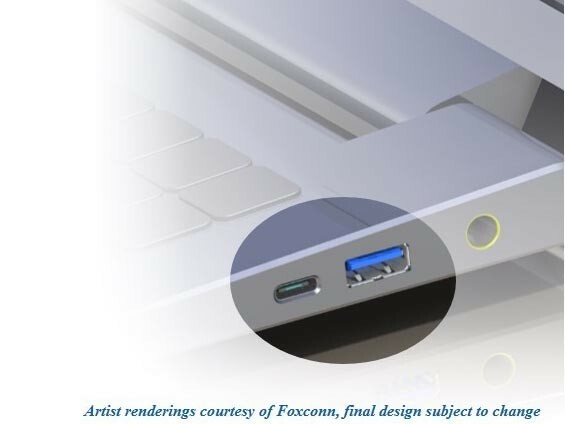 USB 3.1 will be great innovation, Its cables are quite different , I really like fast charging..